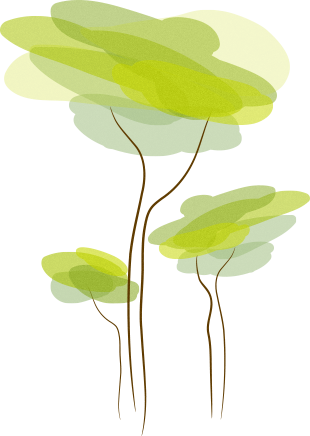 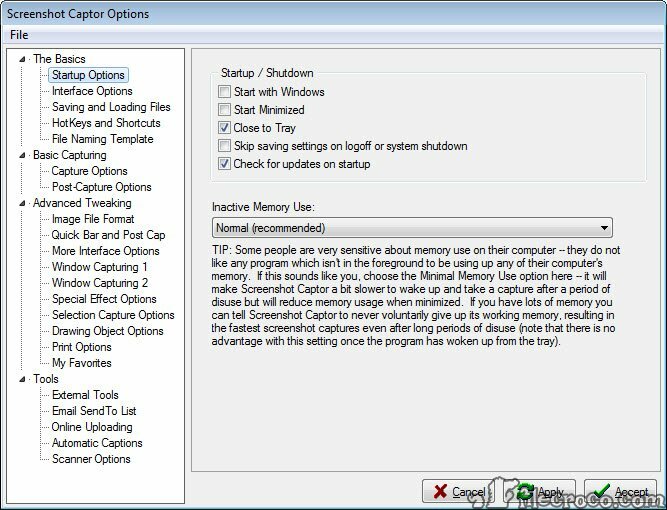 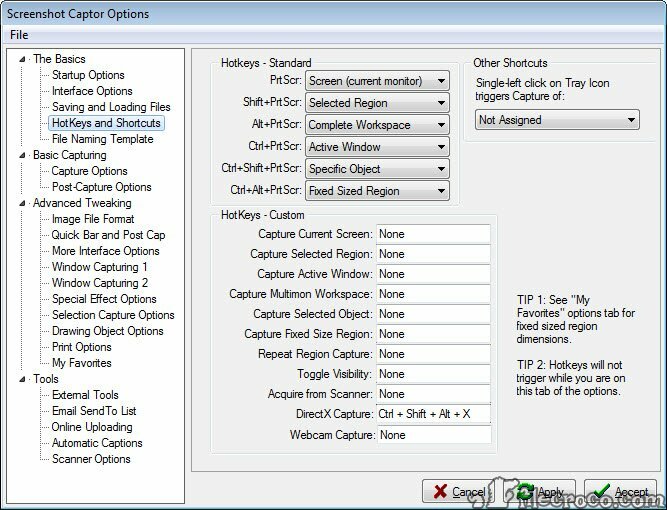 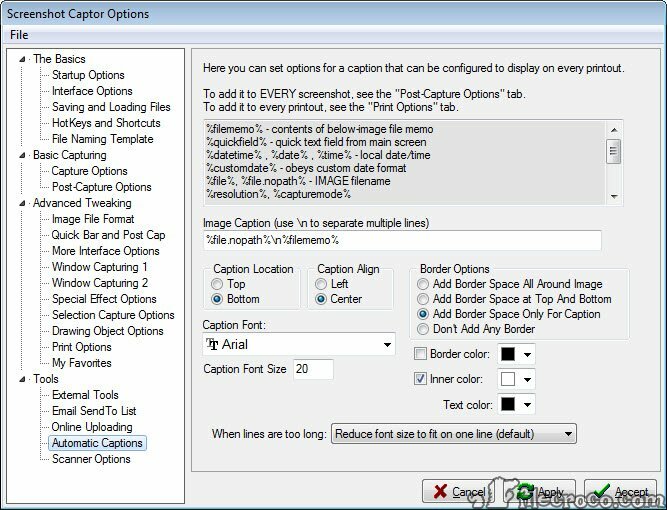 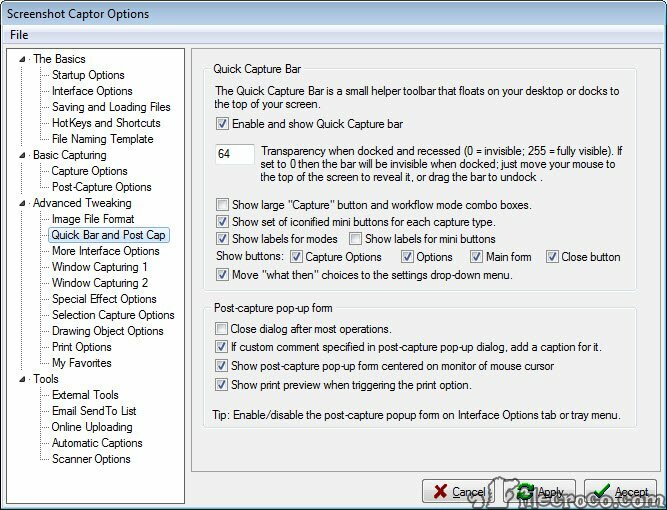 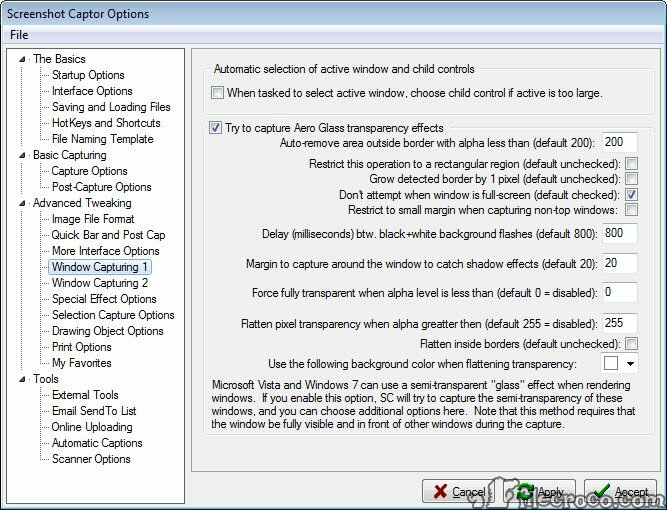 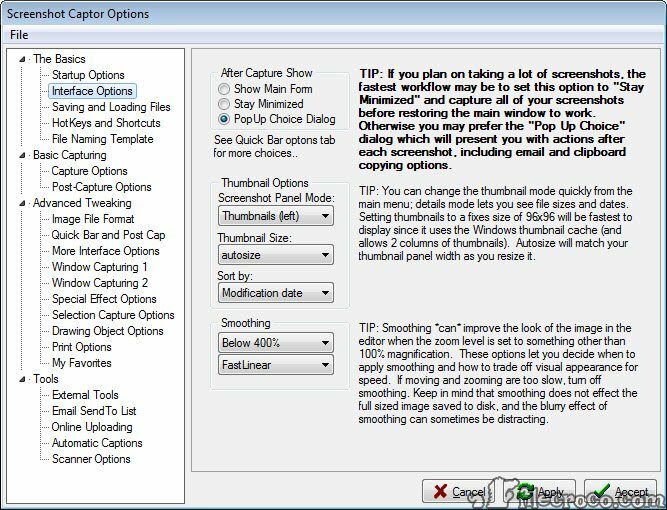 Screenshot Captor remains one of the best and most complete screen capture tool ever to be created. 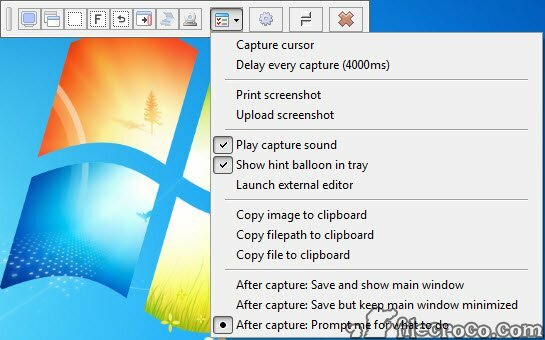 The reasons behind its performance keep increasing, as the newest features include automatic or on-demand image upload to dedicated hosting services, a quick capture docking bar and precise capturing of partial transparency effects of Windows 7. 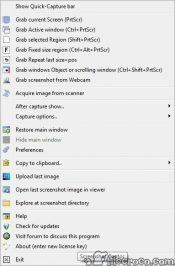 It is easy to guess that grabbing, manipulating and sharing of resulted images come as standard functions. 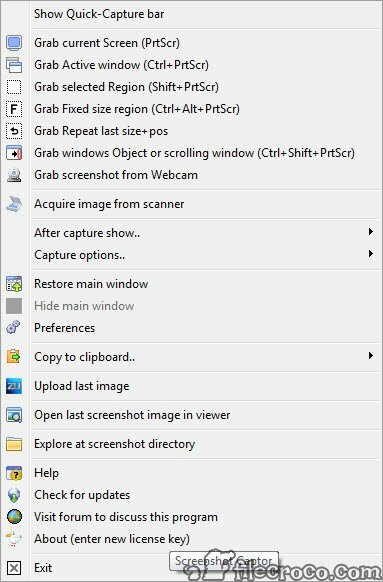 And with an easy-installable add-on you will be enabled to record video and even to take snapshots with the webcam. 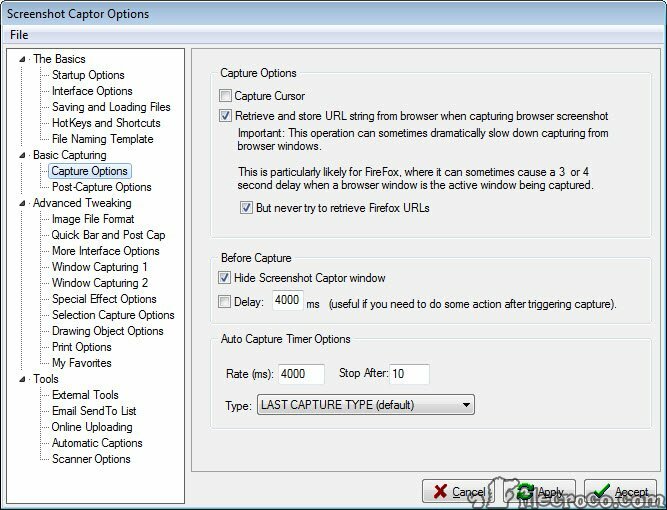 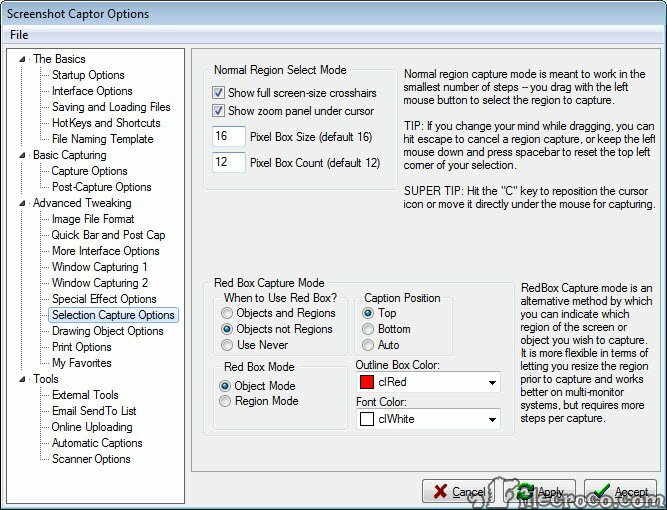 The scrolling capture tool has good results as well as the multi-monitor support that can really provide unprecedented capture modes. 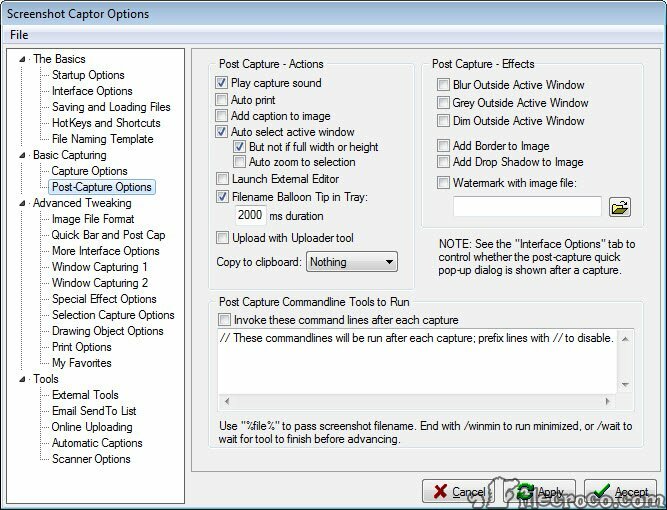 With 3rd party tools support, text embedding and a watermark pen, this screen capture software scores high at all levels.